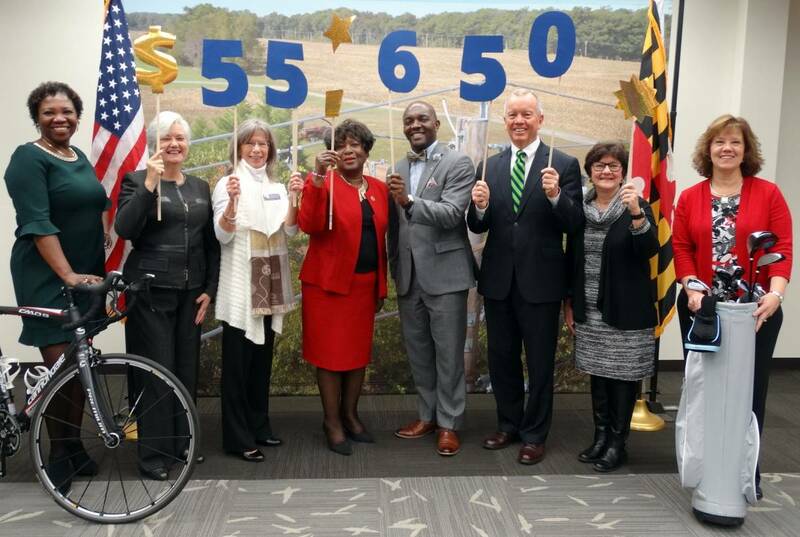 SMECO's employees raised $55,650 for hospice organizations in Southern Maryland by hosting a bike ride in June and a golf outing in October. Pictured from left are Natalie Cotton, SMECO's community and public affairs director; Claire Piason, Director of Development, Calvert Hospice; Jean Fleming, Executive Director of Calvert Hospice; Edith Patterson, state delegate and board member of Hospice of Charles County; Brandon Jones, CEO of Hospice of Charles County; Austin J. Slater, Jr., SMECO president and CEO; Mary Ann Stamm, president of the board of Hospice of St. Mary's; and Denise Chalmers, senior buyer at SMECO. HUGHESVILLE, Md.—Southern Maryland Electric Cooperative (SMECO) employees held two fund-raising events and recently donated $55,650 to the hospice organizations in Southern Maryland. SMECO employees raised the money through the SMECO 75 Bike Ride held in June and the SMECO Annual Charity Golf Outing in October. The events are supported by a group of employee volunteers, vendors, and the SMECO executive team. "We're fortunate to be able to make a substantial contribution to groups that help make Southern Maryland a great place to call home. Our co-op employees and supply chain partners appreciate having the opportunity, afforded us by SMECO's Board of Directors, to give back to the community. Working with our vendors-who make generous contributions-makes the golf outing an exceptional fundraising event," said Richard Jarboe, SMECO supply chain director. The Cooperative selects different organizations each year to benefit from its fundraising events. In six years, SMECO employee fund-raisers have contributed $270,650 to local organizations. Contributions, which may be tax deductible, can be made to the SMECO Charitable Foundation. "We selected the hospice organizations as this year's recipients because they provide help to people when they need it most," said Natalie Cotton, SMECO's community and public affairs director. Calvert Hospice is dedicated to their mission: enriching the quality of the lives we touch with expert and compassionate care. They focus on helping families make the most of every moment, ensuring more peace and comfort than is often possible without hospice's support. "We're helping local families through the process of caring for loved ones at the end of their lives. 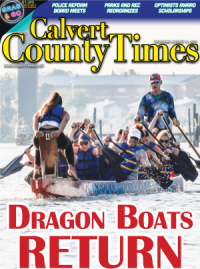 We help to ease the physical and emotional pain of the patient, but we also help ease the difficulties and stresses family members experience," said Jean Fleming, Executive Director of Calvert County Hospice. She added, "The SMECO donation will help us meet our need to raise over $250,000 each year to operate and maintain the affordability of our six-bed Burnett Calvert Hospice House." The Charles County Hospice plans to use the contribution from SMECO to supplement funds designated for charity care. "You don't have to have lost a loved one to appreciate the services that hospice provides," said Brandon Jones, Chief Executive Officer of Hospice of Charles County. "We often hear from members of the community who express their high regard for hospice, the service providers, and the volunteers," he added. "We can't carry on with this important work without the support of our volunteers and contributions from the community." 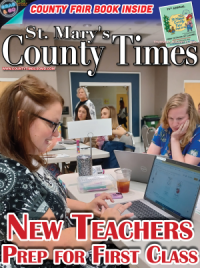 "We work closely with doctors and hospitals to help our patients receive the best care we can provide," said Kathryn Franzen, Director of Hospice of St. Mary's County. "But we also help patients decide how they want to spend their days, where they want to be, and who they want to be with. We help to give them some control at the end of their life journey and that makes a world of difference to a patient." The SMECO 75 Bike Ride is open to the public. Participants can choose among three routes of 29, 47, and 75 miles that start at the co-op's headquarters in Hughesville and go as far as Colton's Point in St. Mary's County. According to Cotton, "Our employees make the annual SMECO 75 bike ride a successful fund-raiser. Their enthusiasm and hospitality make it enjoyable for those who participate. This is a great event for experienced riders because of the scenic routes and for newcomers because of the support we provide." Cotton added, "We are already planning our eighth annual bike ride for June 1, 2019. Next year, our contributions will go to organizations concerned with intellectual and developmental disabilities: Spring Dell Center, Charles County; The Arc of Southern Maryland, Calvert County; and Bay Community Support Services, St. Mary's County." Cyclists who want to participate in the SMECO 75 Bike Ride can register online at Active.com beginning January 1, 2019. Cotton said. "We are especially thankful for business partners who participate in the event and provide donations to help raise funds for organizations in Southern Maryland. Major contributors include ABB, Adams Jenkins and Cheatham, Asbury Solomons, CGI, Cigna Health, Community Bank of the Chesapeake, CW Wright Construction, Duncan Weinberg Genzer Pembroke, Eversheds Sutherland, ICF International, IP Datasystems, J.M. Tennyson Construction, Keller and Heckman, McNees, Morgan Stanley, MSI Inc., New River Electrical Corporation, Prudential, TRC, UDC, Venable, and Washington Gas, and we thank them for their support." 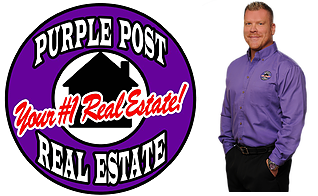 Jarboe added, "We are grateful to our Golf Outing sponsors for their generous contributions. Platinum Sponsors include Altec, Anixter, Brandywine Power, CDW, Irby Utilities, The Okonite Company, Super Salvage, and TRC Solutions. Gold Sponsors include Bradley Electro Sales, Lawrence Abell & Associates, MacLean Power Systems, Martini & Associates, Meridian, Southern Maryland Cable, and SMO Energy. We rely on them for their donations and appreciate their assistance."